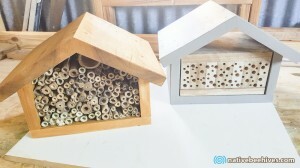 I’ve called this one Project Octahive. 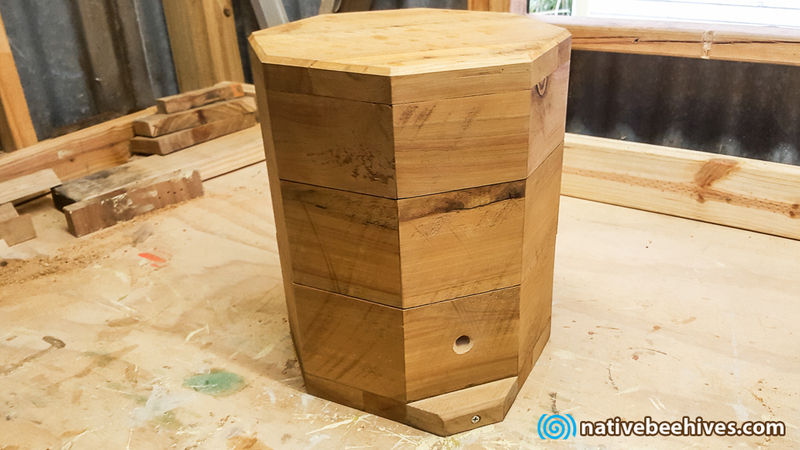 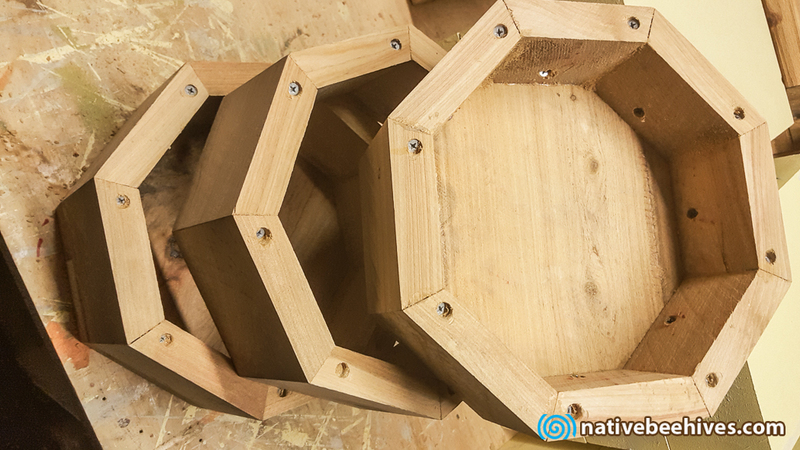 It’s my first attempt at making a hive in the octagonal shape. 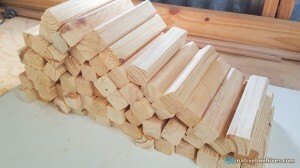 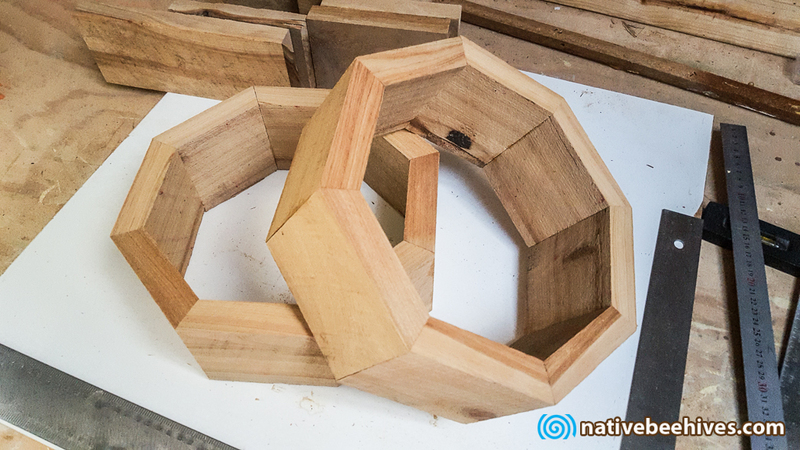 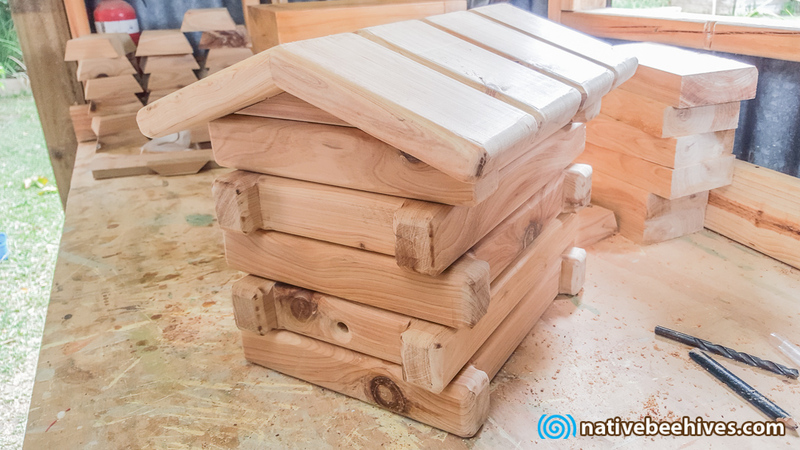 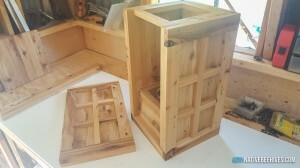 Using 25mm Cypress, I cut all the pieces and glued them together in stages.. 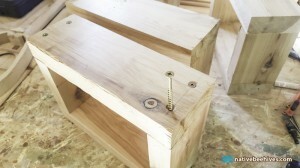 Counter sunk holes, drill holes and screws.. All hidden inside so they wont be seen from the outside. 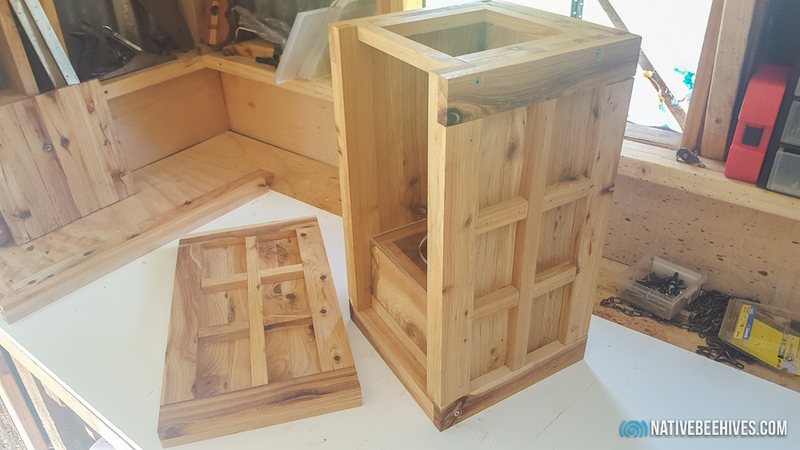 Oiled up. 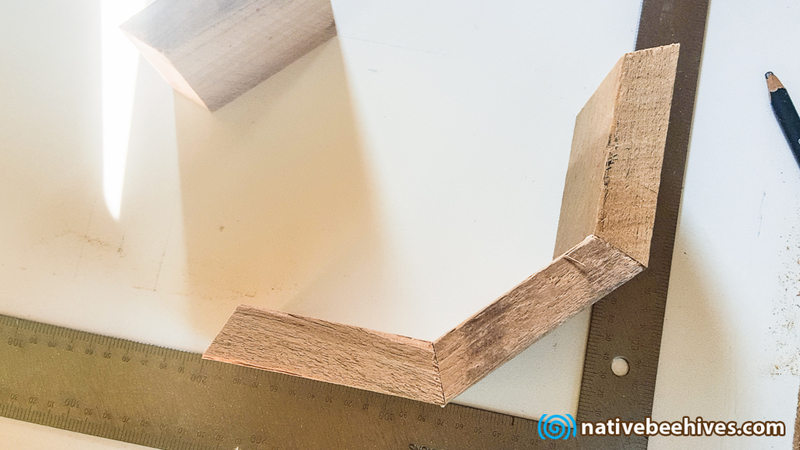 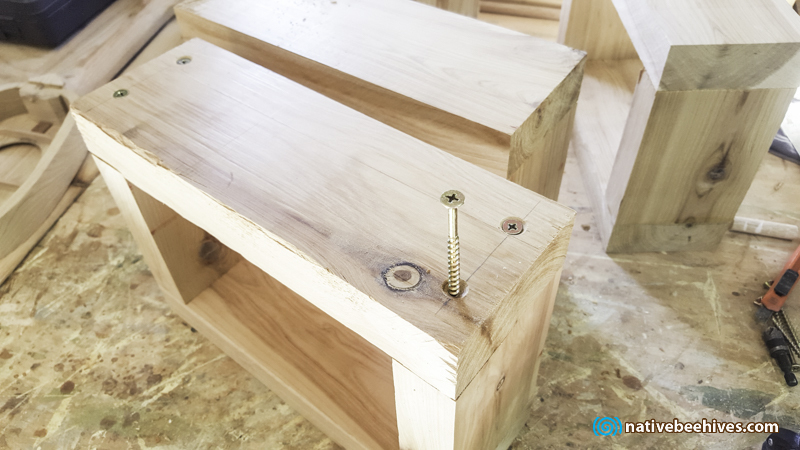 I put a router edge on the top section…. 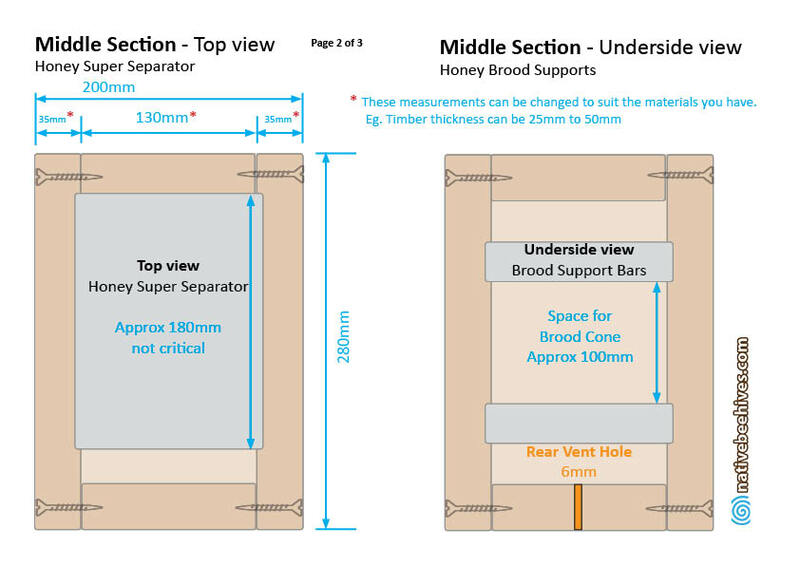 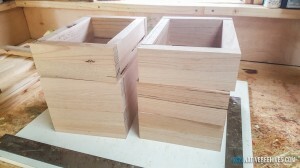 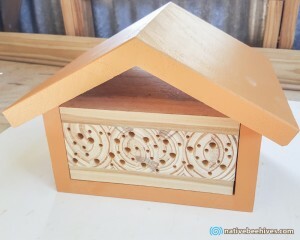 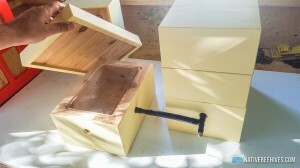 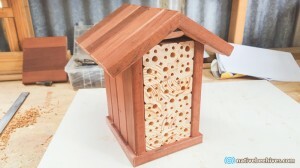 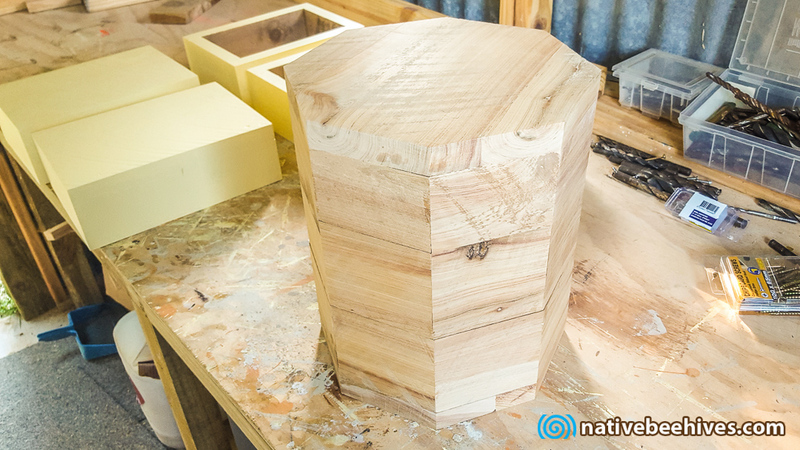 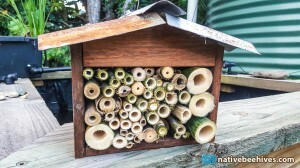 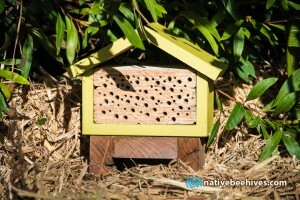 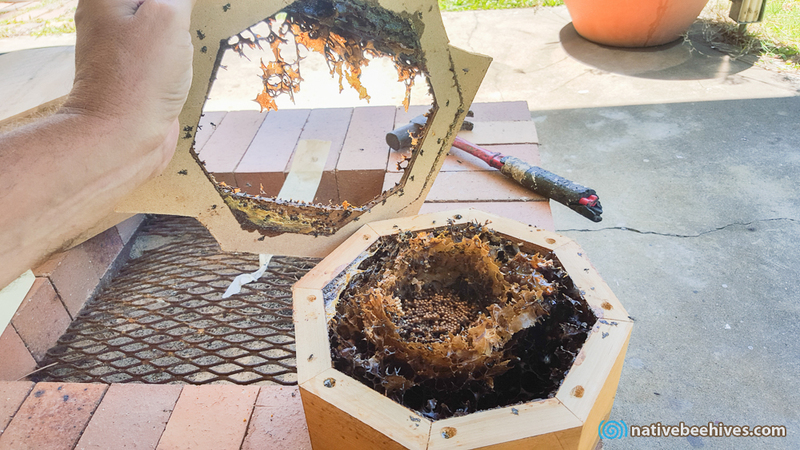 This is the process I’ve used for establishing bees inside the box.. 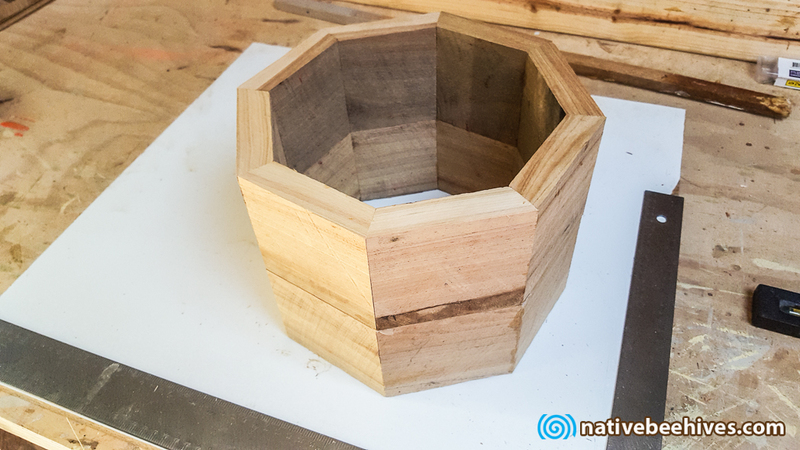 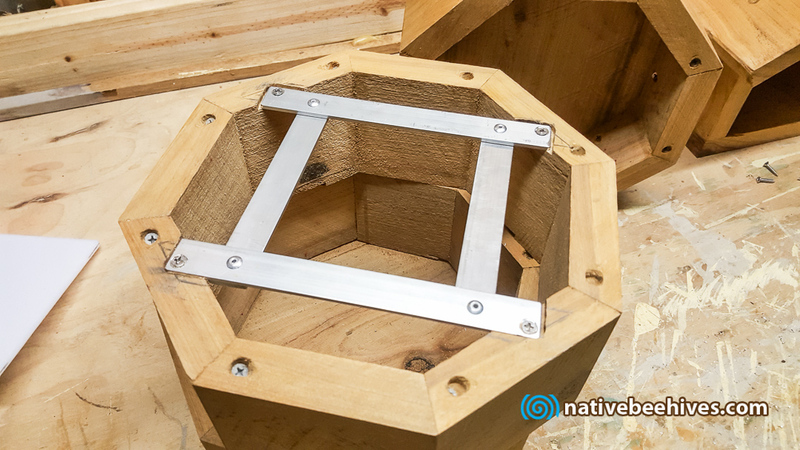 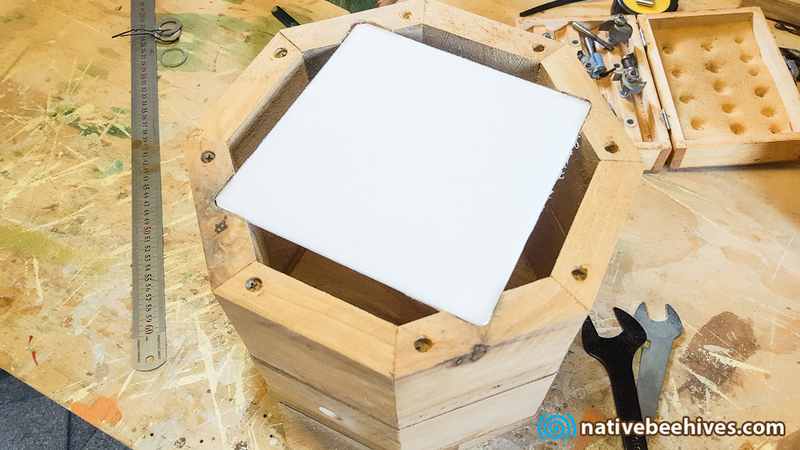 I made an adaptor plate to connect the standard OATH top section to the base of the Octagonal Hive…. 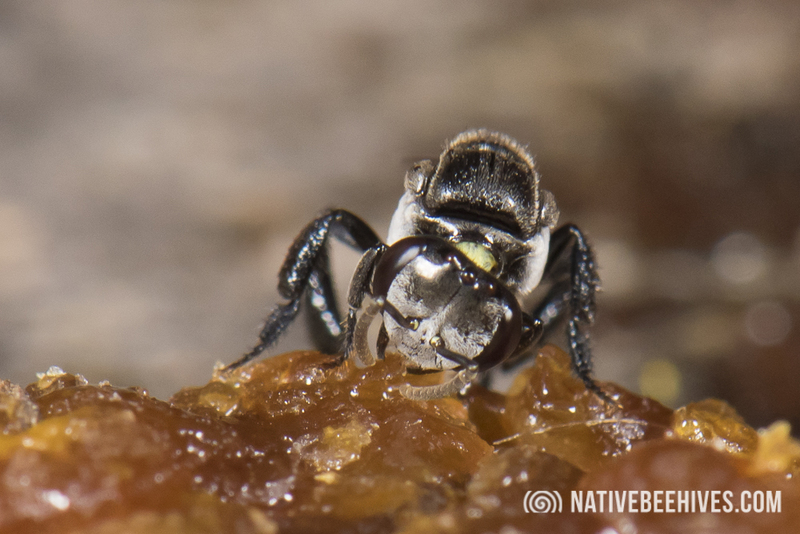 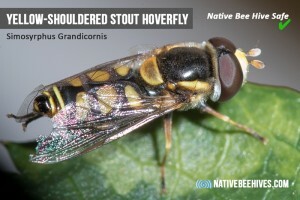 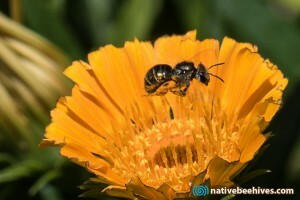 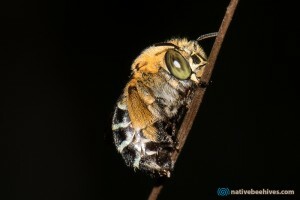 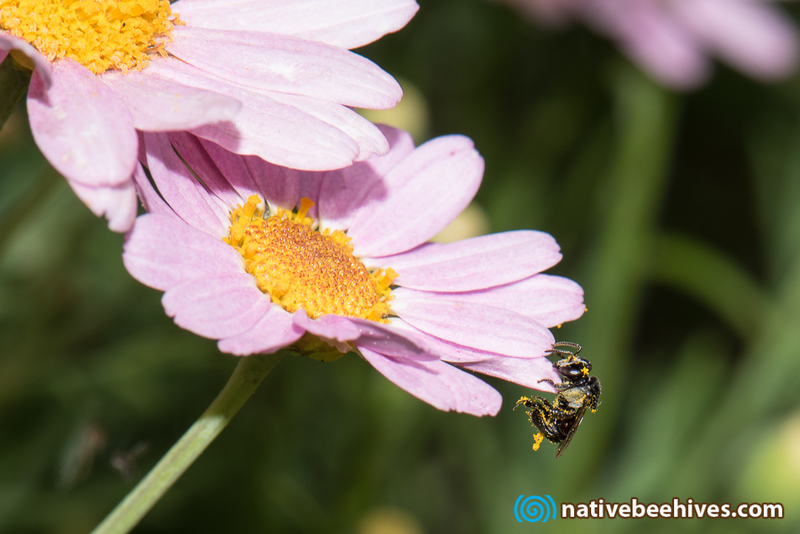 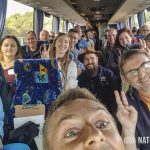 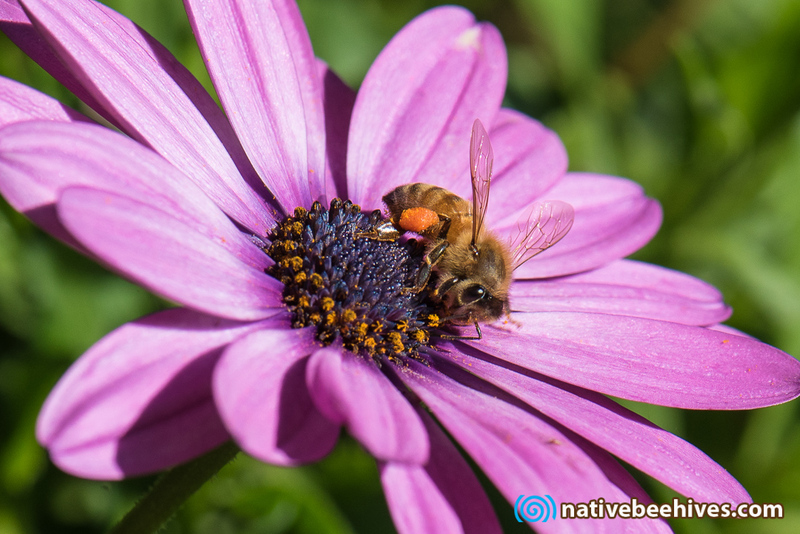 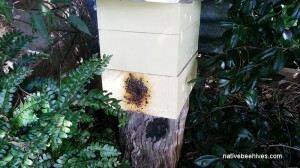 Photo below – The bees are still alive! 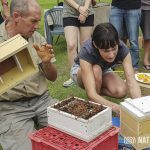 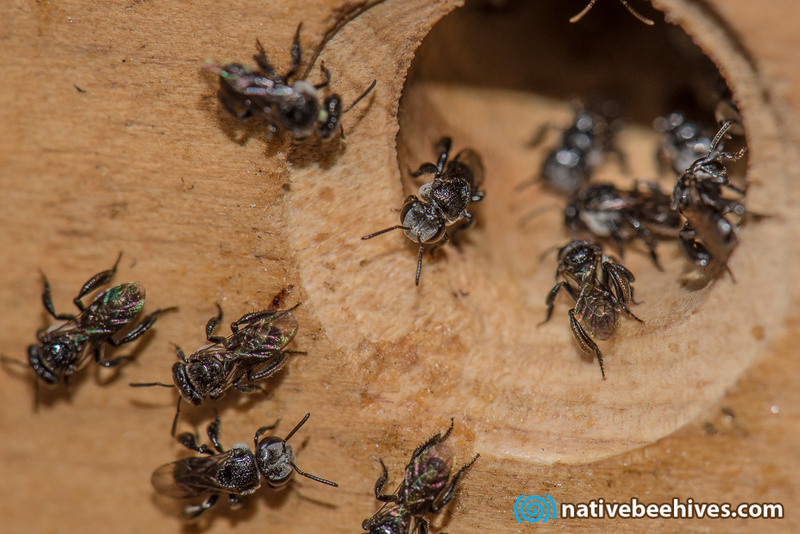 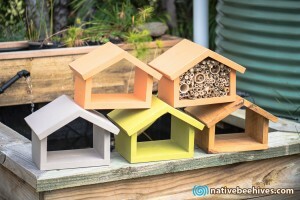 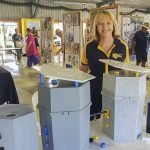 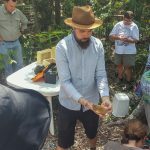 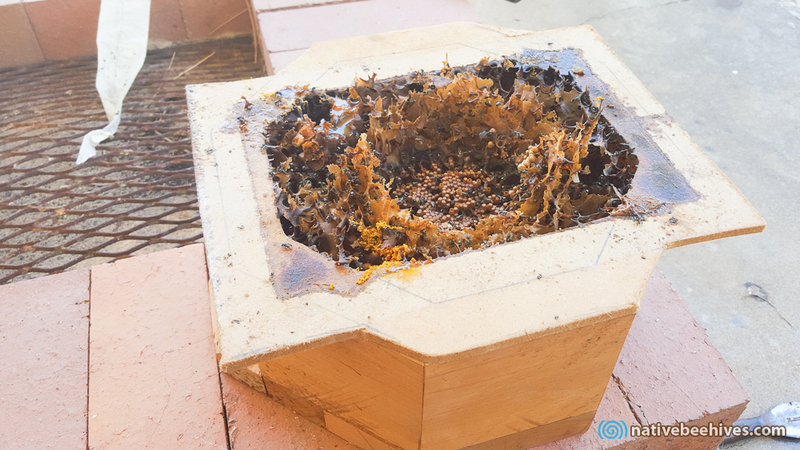 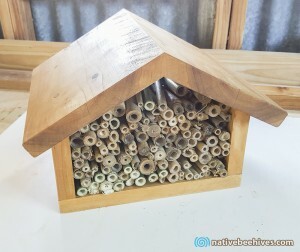 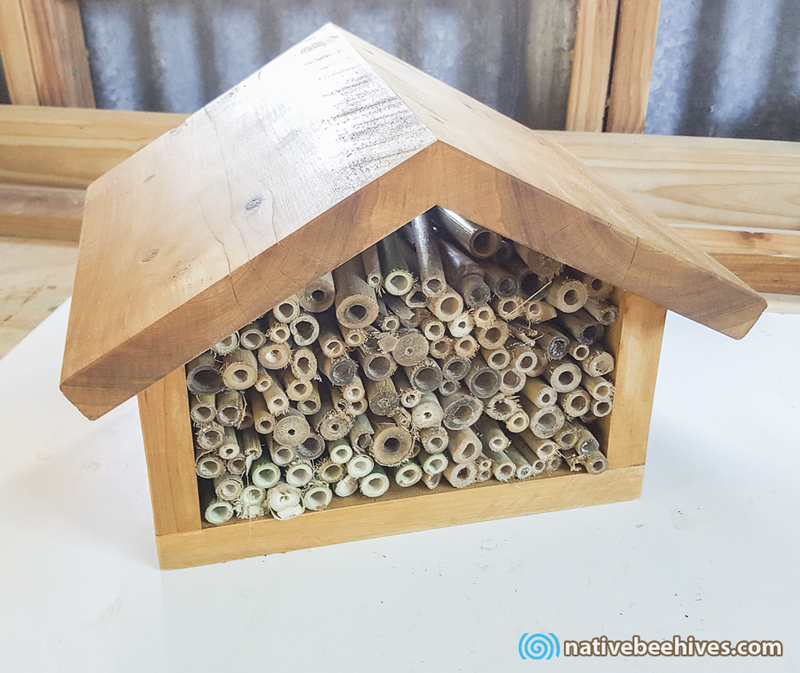 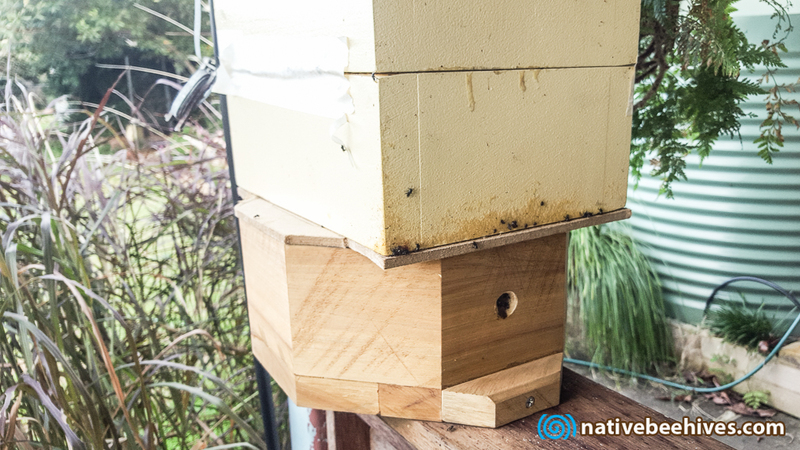 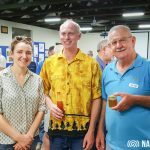 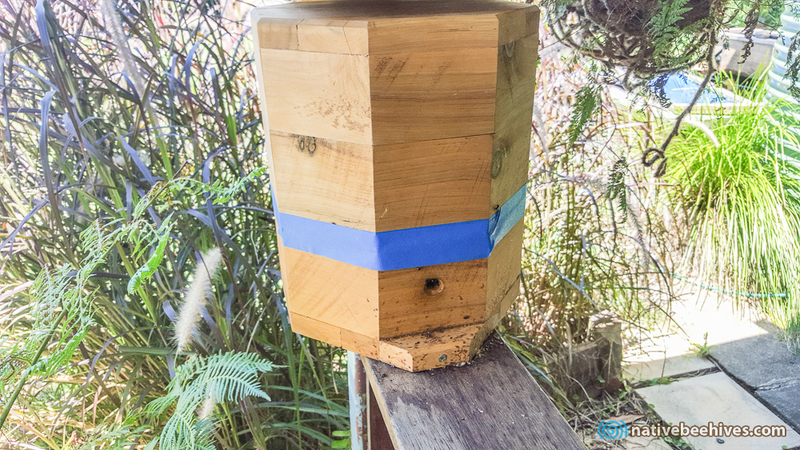 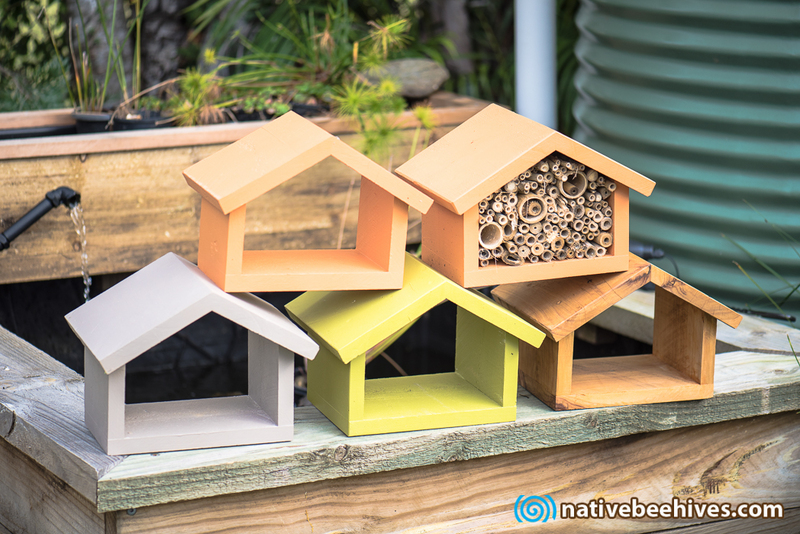 Below: Update December 2016 – The hive was placed in the garden and is doing well. 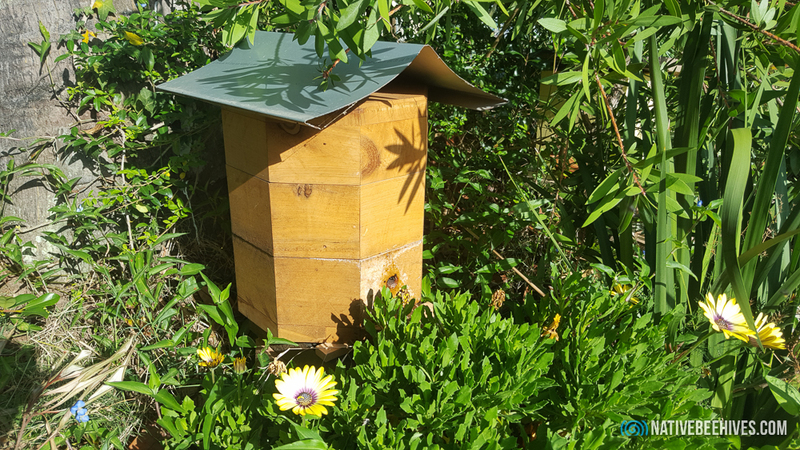 Update 18/06/2017 – Below – I’ve upgraded the roof for better sun protection, The hive is doing really well, it’s out of control with heavy traffic at the entrance.